I guess I haven't talked about my old job here in this blog yet. I used to design and create jewelry and accessories for a living. I work with polymer clay mostly, but I've also dabbled in silver and gold. Since I got pregnant last year, I haven't really had the time or energy to create anything. Until this week! This week, the hubby kindly gave me some time off from mommy duty, so I was able to create these pretties. Even if it was a workday, he spent time with little moon so I could tinker away in my craft room. 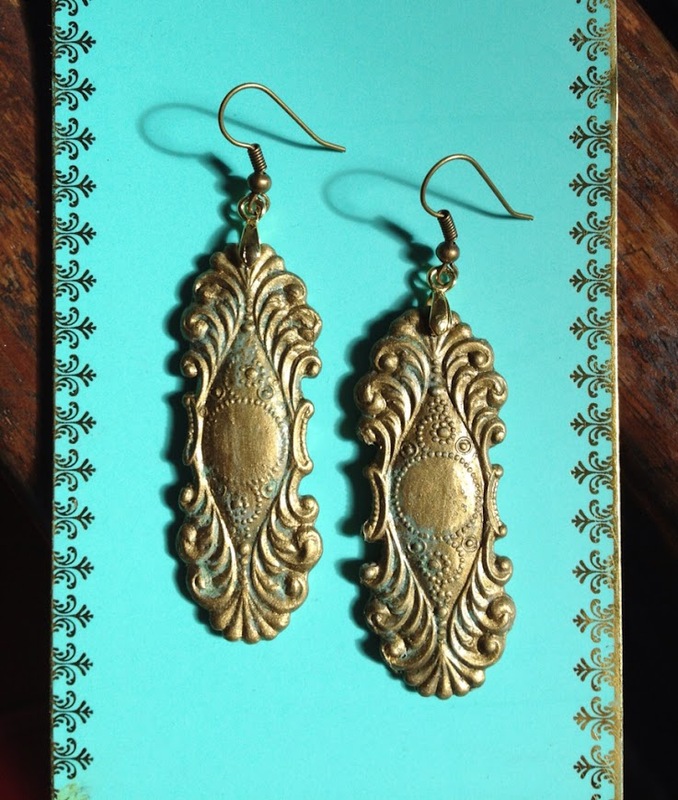 I am working on souvenirs for my cousin's cotillion, and these earrings are an offshoot from that project. To be honest, I'm not comfortable with the idea of me "going back to work" yet, even if work just means sitting in the next room. Yes, my work is a lot of fun, and if things were different, I'd spend all my free time crafting. But I don't like the idea of my poor hubby having to babysit when he badly needs to catch up on sleep. I also haven't warmed up to the idea of someone else (read: nanny) taking care of my baby. Trust issues. Separation anxiety. Mommy guilt. I'm sure we'll figure out something that works for everyone. Until then, I'll find pockets of time wherever I can. But little moon is still the priority, and everything else will have to take the backseat. How do you working moms do it? And how do you like these gorgeous earrings? Perfect for holiday parties, don't you think? If you wanna order, you can email me at angelisartbeads(at)gmail(dot)com. The holidays are coming!